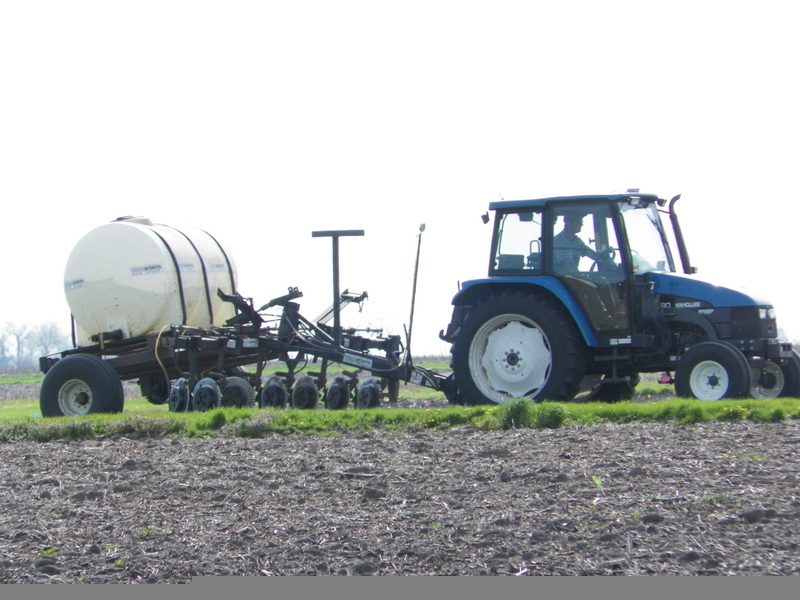 The United States Department of Agriculture – National Agricultural Statistics Service (USDA-NASS) released their Illinois Weather & Crops bulletin this Monday summarizing planting progress as of Monday, April 28th. This report puts into tables and graphs what many of us are seeing – cool, wet soils have kept field work to a minimum. Top and subsoil moisture contents have almost completely rebounded from their 2012 drought deficit status. Much of the state now finds itself with the opposite problem, with 55 percent of the state experiencing surplus top soil moisture and 25 percent of the state experiencing surplus subsoil moisture. At the NWIARDC, the average high and low temperatures for April were 3 degrees below the 30-year average. More than 3.3 inches more precipitation than the 30-year average fell during April. In recent years, only 1999 saw a wetter April. Only 1 percent of the corn acres throughout the state have been planted. This is a dramatic shift from the record planting progress that we saw last year, when 76 percent of the corn had already been planted. At the NWIARDC, Brian Mansfield (Research Agronomist) and Marty Johnson (Research Specialist) began hitting field work hard on the afternoon of Friday April 26th. This is when they were first able to get back into the fields after being rained out for more than two weeks. 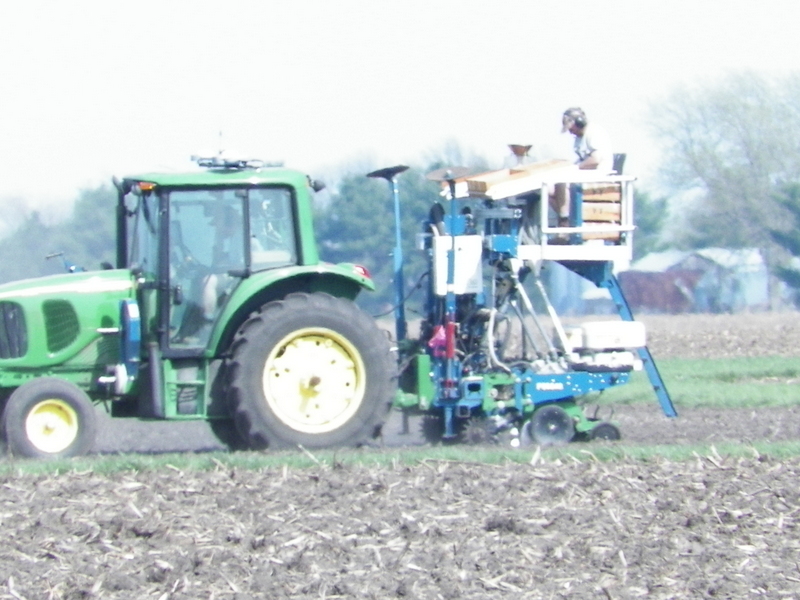 Field operations began with tillage (Figure) and nitrogen applications (Figure) and have since progressed to planting (Figure). 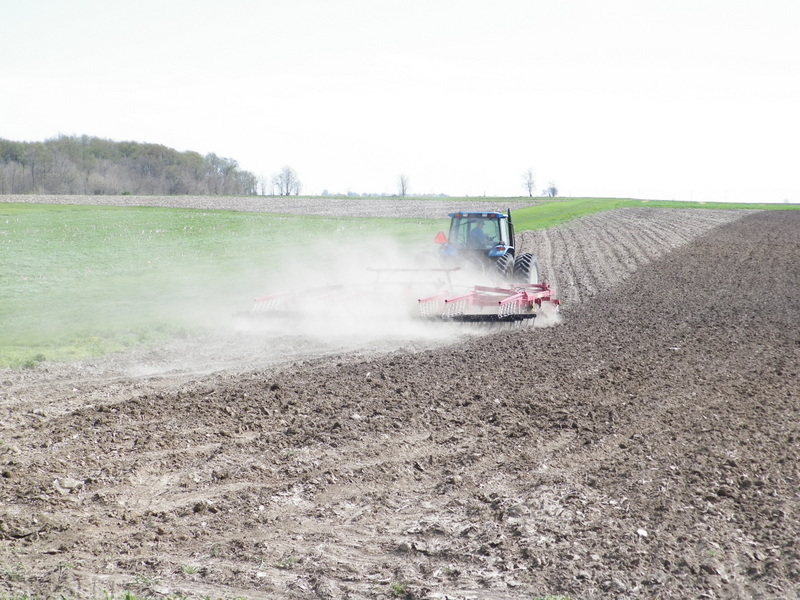 Brian and Marty estimate that approximately 30 percent of the tillage and 60 percent of spring nitrogen applications have been completed in these past several days. The University of Illinois' Variety Testing Program has 12 locations for their corn trials and 13 soybean trial locations throughout the state. 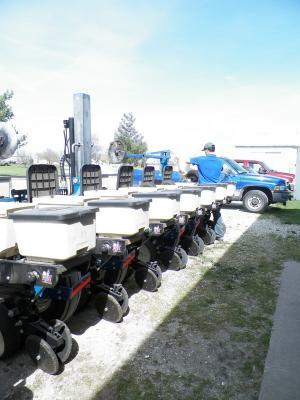 The NWIARDC in Monmouth is the only site throughout the southern, central and northern regions of the state that has had favorable soil conditions for planting. Planting took place this Tuesday at the NWIARDC (Figure).